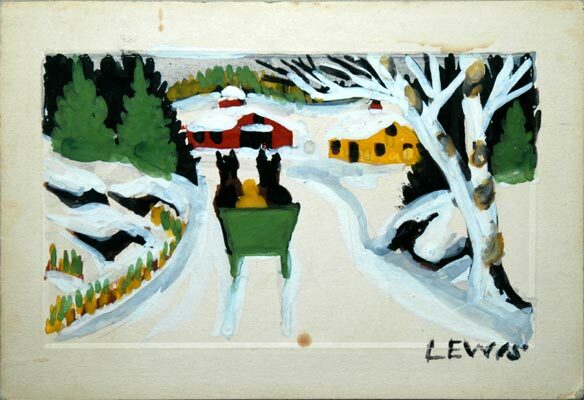 Description: signed Maud Lewis 6.5"x4.5", comes with hand written Christmas wishes "To Bunny and Bill, Love Dody" inside card.1959. Maud got these blank cards from the Editor of The Digby Courier, Edith Wallis, and sold them for 5 cents each. Comes with provenance. Guaranteed authentic. A VERY RARE find.